Perfect for the racing junkie in your life, these films convey the intensity of competition in an honest and unfiltered way. Legendary races on the world’s most demanding tracks are captured here in a way that brings the viewer directly into the action. These are the films set the standard for racing cinema, and they’re guaranteed to be a hit with race fans both young and old. Click here to grab all four films at a discounted price! 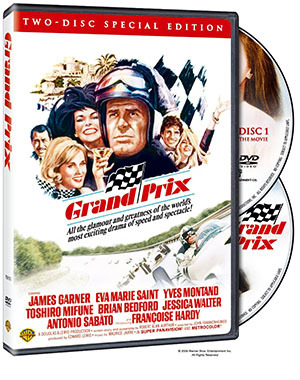 Grand Prix (2 Disc) – Considered by some to be the greatest racing movie ever made, elaborate storylines take a back seat to the visceral sensations of road racing in this 1966 classic directed by John Frankenheimer. James Garner, Eva Marie Saint, Yves Montand, and Toshiro Mifune comprise a stellar international cast whose characters navigate turmoil on and off the track in this film which effectively captures the unchained vibe of Formula One racing in the 1960s. This 2-Disc set features a pristine restored print and upgraded 5.1 Dolby sound. 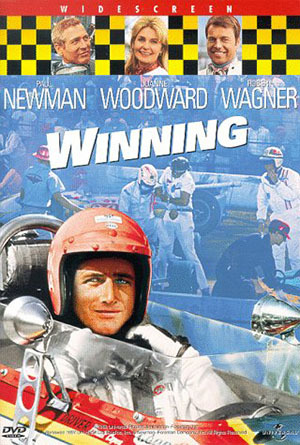 Winning – Paul Newman stars as a headstrong driver who will do anything to capture the top podium spot in this behind-the-scenes depiction of the Indianapolis 500 race. A dramatic look at the sacrifices and risks both on and off the track that are made at the highest levels of racing, Winning also features incredible footage from the 1968 Indy 500, including its infamous 17-car pileup. LeMans – Get into the driver’s seat for the world’s most demanding endurance race, the 24 Hours of Le Mans. 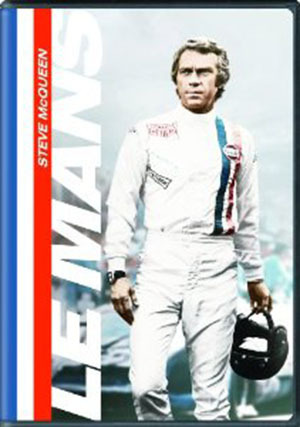 On-screen automotive luminary Steve McQueen plays an American driver locked in a grudge match with a German rival as he comes to grips with guilt and hesitation stemming from an accident that ended the life of a close friend. McQueen’s typically stoic yet engaging personality complements the grueling and intense demands of the historic race perfectly. 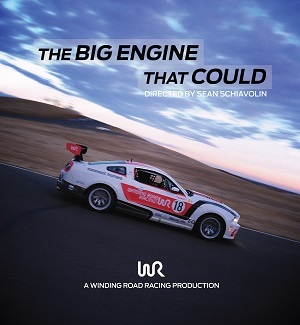 BONUS - The Big Engine That Could – Chronicling the ups, downs, frustrations, and thrills of preparing for and competing in the famously demanding endurance race, The Big Engine That Could follows Team Winding Road’s experience of getting to and racing in the longest event in the 2013 race season calendar – the 25 Hours Of Thunderhill. Selecting a Ford Mustang Boss 302S as the weapon of choice, Team Winding Road’s 16-member crew takes on serious competition from around the world in an American icon that is bigger and heavier, yet technologically simpler, than many of its competitors. Will The Big Engine be enough to finish this grueling race and possibly stand on the podium?